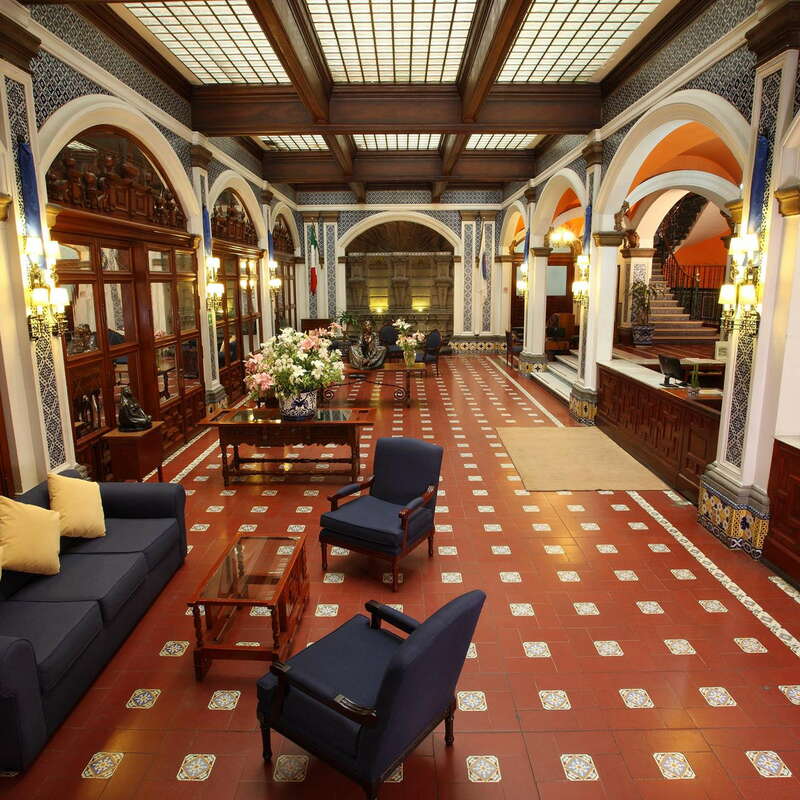 If you're interested in exploring the historic downtown, the atmospheric Majestic--housed in a baroque 16th-century building facing the Zócalo--gives you the perfect location. It's also ideal for viewing the Independence Day (September 16) celebrations, for which many people reserve a room a year in advance. There is also a restaurant on the top floor with a wonderful view of the Zócalo. Unfortunately, location and terrace are its main selling points, as the hotel's heyday has long passed, and many basics--like hot water and WiFi--can be erratic. Rooms have heavy wooden furniture and rather generic decor, lacking the charm of the building. Most are in bad need of updating, so ask to see the room first. Very basic and in need of updating. Clean, though many fixtures are stained or cracked. YOU SHOULD KNOW Hot water can be unreliable, but usually comes if you wait a minute or so. 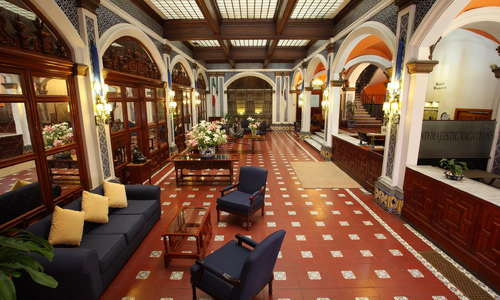 The hacienda-like lobby does justice to the building's rich history, with tiled archways, hand-hewn bronze and stone accents, and intricate carved woodwork. The top-floor terrace has unparalleled views, if indistinct food and drink. The best way to get around Mexico City is via Uber or similar ride-share services, like Cabify and the by-women for-women Laúdrive. 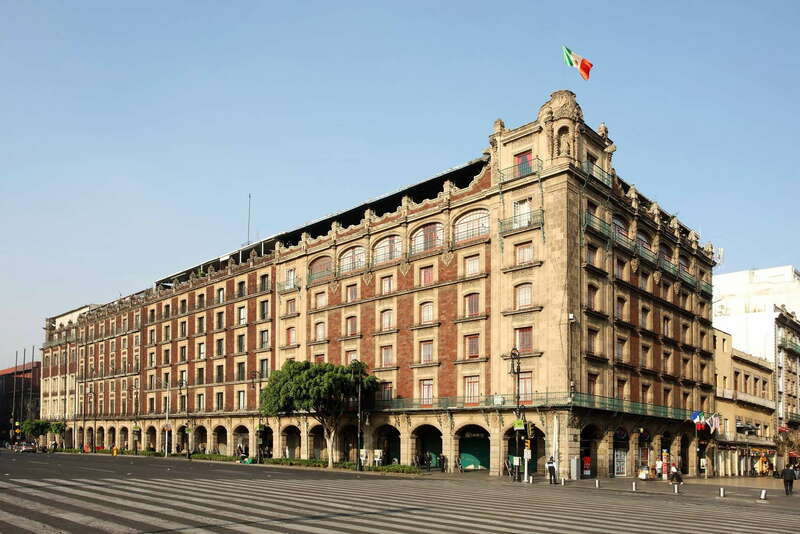 All Centro sights are within walking distance, and the Zócalo subway stop is practically at your doorstep. Breakfast at El Cardenal (2-minute walk) is a must, especially on weekends when families congregate for dishes both traditional (huevos rancheros) and more esoteric (escamoles, i.e. ant eggs). There's always a line at Los Especiales (1-minute walk) for tacos sudados--also called tacos de canasta (basket tacos)--cheap and greasy tacos piled into baskets, where they steam from residual heat. 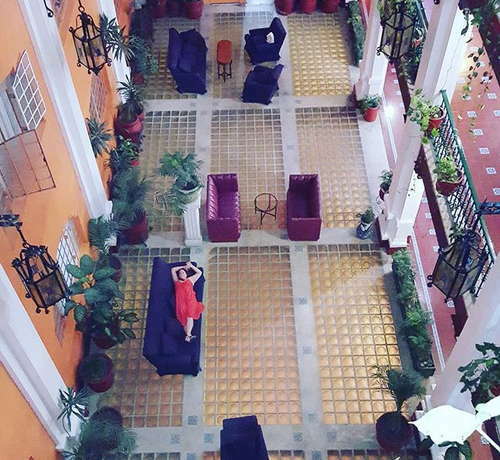 Bar La Ópera (8-minute walk) is an obligatory stop, for a drink in luxe surroundings, and to snap a pic of the bullet hole that Pancho Villa shot in the ceiling at the dawn of the Revolution. Zinco Jazz Bar (4-minute walk) is a New York-styled basement jazz bar with good drinks and better music. Location location location on a budget--and the terrace view.